Snipers are a big part of Call Of Duty games but there are some people who prefer doing quick scopes. For quick scoping, people have always used the guns like Intervention in MW2 with ADS perk but in Black Ops4, Treyarch is going to provide a solution to quick scopers with a special gun. 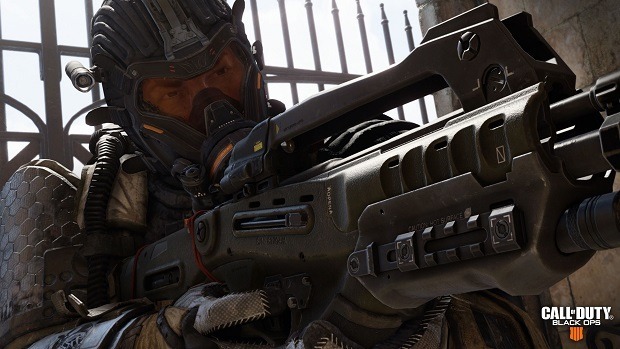 Now with Black ops 4, Treyarch aims to provide snipers for the people who want to aim and kill targets at a very long range. On the other, a special gun for the people who like to “quickscope” by not aiming fully and using your gun like a long ranged shotgun. This means that you can quickscope with this gun but you have to be very skilled, which is the reason you will not see a lobby full of quickscopers so don’t worry. Also do check out the full list of weapons here to know what you are going to use. It will be definitely liked by the snipers and Black Ops 4 Beta is just around the corner where we are expecting to see this gun to share with you how hard it really is and is it even fun to use or not. It’ll also be really interesting to use this special weapon in Blackout mode which is going to have such a huge map full of our favorite locations from the previous Call Of Duty games.